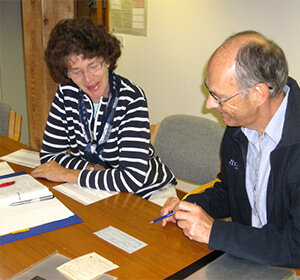 Artefacts and documents recorded and protected for future generations. 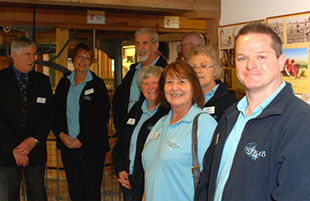 The Archive Group was formed in April 2009, with the aim of gaining museum status for the Mill collections. 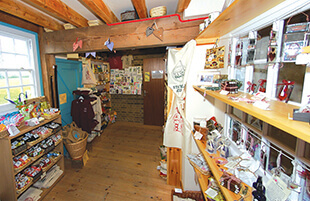 As space is very limited, the group has concentrated on milling artefacts, memorabilia from the Randall family who ran the Mill in its heyday, and some tools and agricultural items with local connections. Documents dating back to 1734 have been unearthed, many on parchment with the seals and signatures of people who lived and worked here over 200 years ago! Some of the originals are already on display on the first floor. 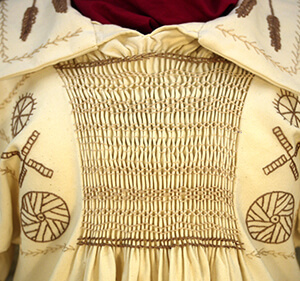 The smock, displayed in its own cabinet on the first floor, has detailed panels of traditional ears of wheat and other items associated with milling, and is faithfully reproduced, even down to the hand-turned wooden buttons (made by Ray Kilby, the current Miller). The material is a special hemp weave, which absorbs flour dust and would have provided the miller with extra warmth. The extensive collection of documents kept by the Randall family illustrates not only their day to day business transactions, but also provides glimpses of family life and personal correspondence. 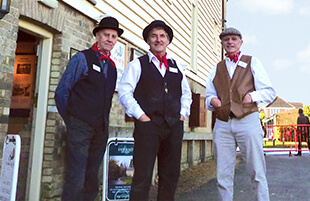 As more documents are recorded we continue to gain a fascinating insight into their world, for example the role the railway played in bringing grain and goods up to the Mill from London. 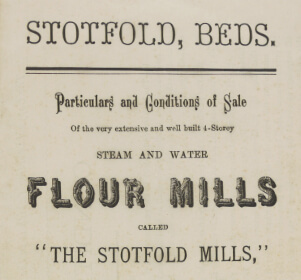 Members of the Archive group are in the process of populating collections management software with images and descriptions of the objects in the Stotfold Mill Preservation Trust. See how the project is progressing by clicking the link below.